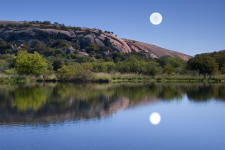 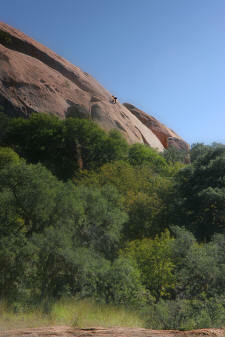 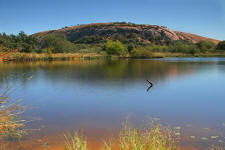 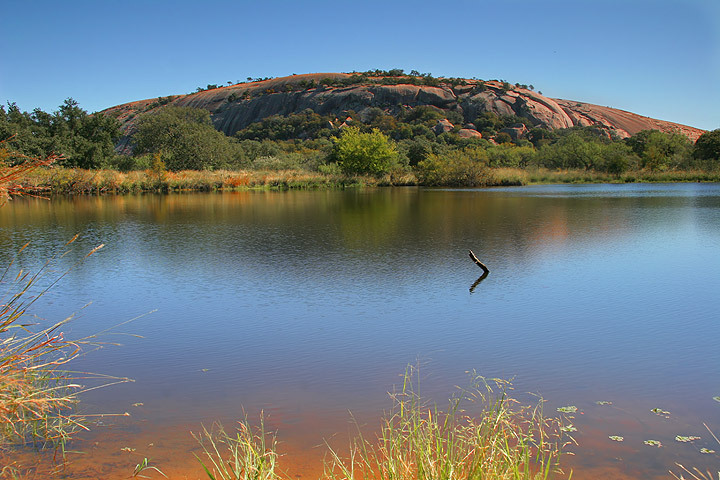 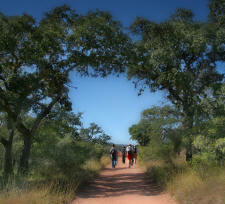 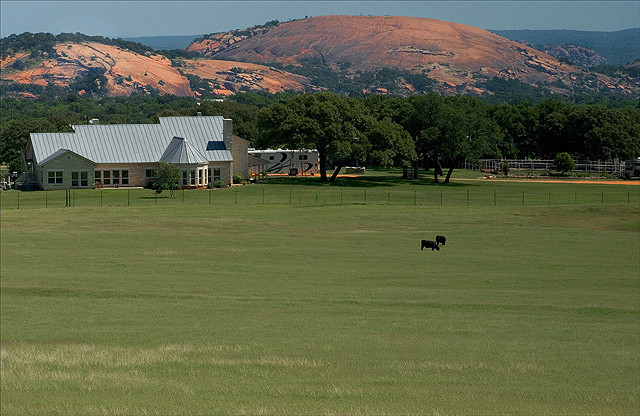 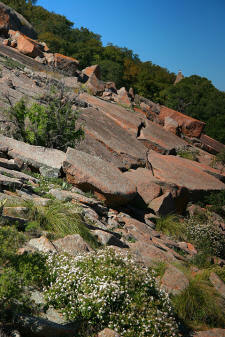 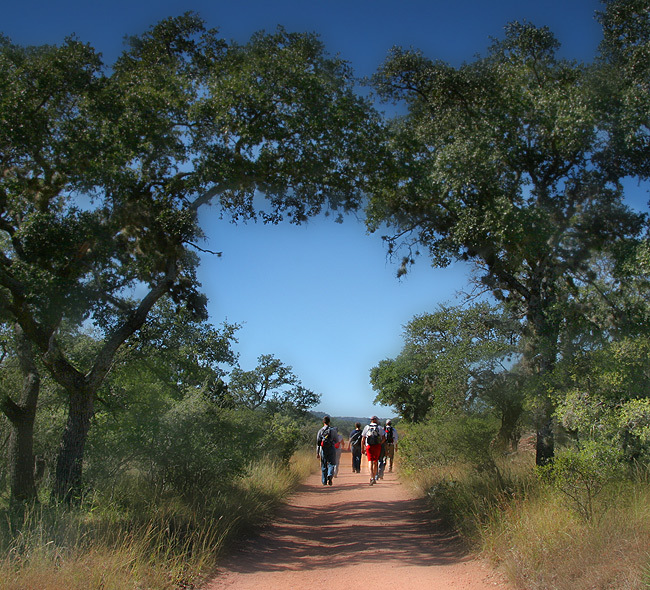 Just outside Fredericksburg in the Texas Hill Country lies Enchanted Rock. 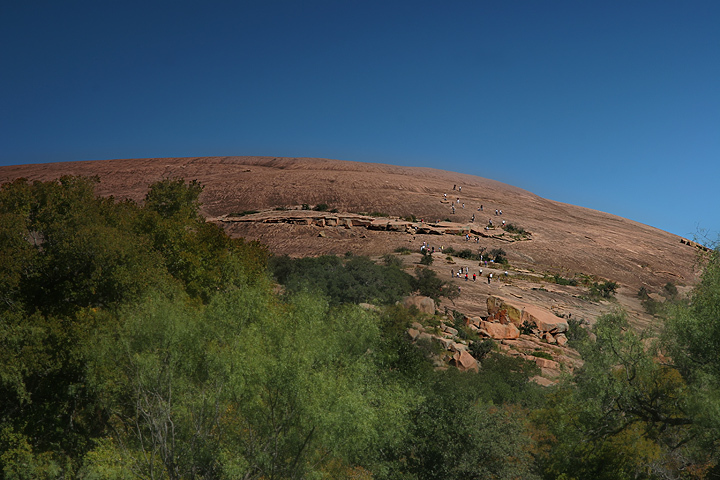 Right in the middle of rolling hills covered with Texas trees and green. . .up rises this enormous, dome of a rock -- very striking! 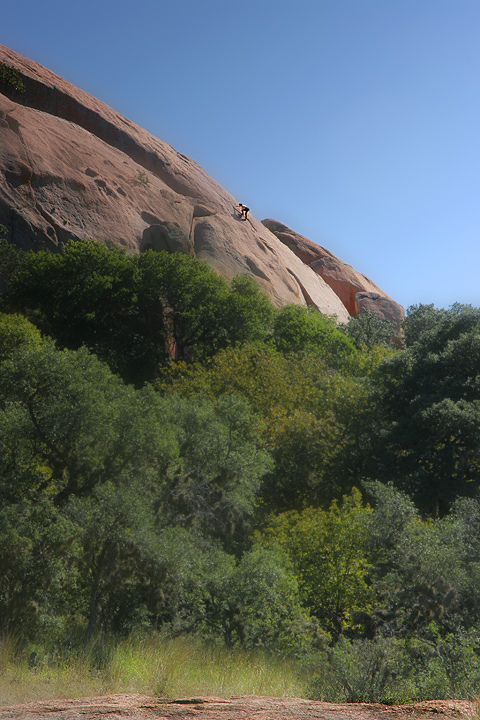 I think it's about 650 feet (but I'm not quite sure about the actual height), but because of how very vertical it is, your legs really feel it when you start out sprinting up that sucker. 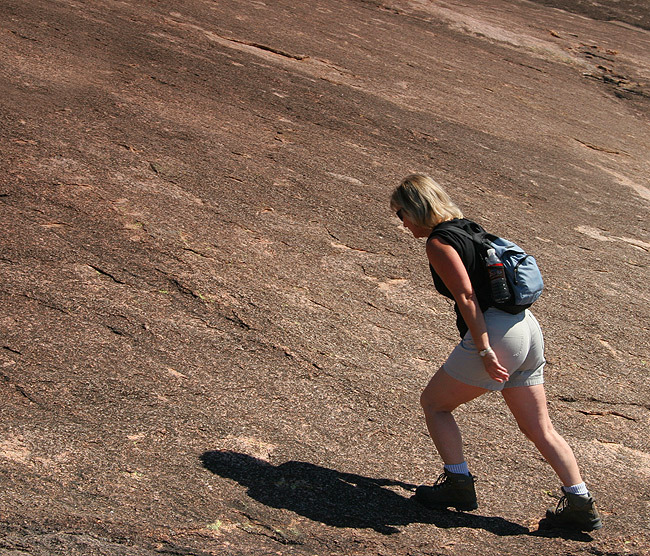 We like to go hike it and practice for our trek to real mountains. 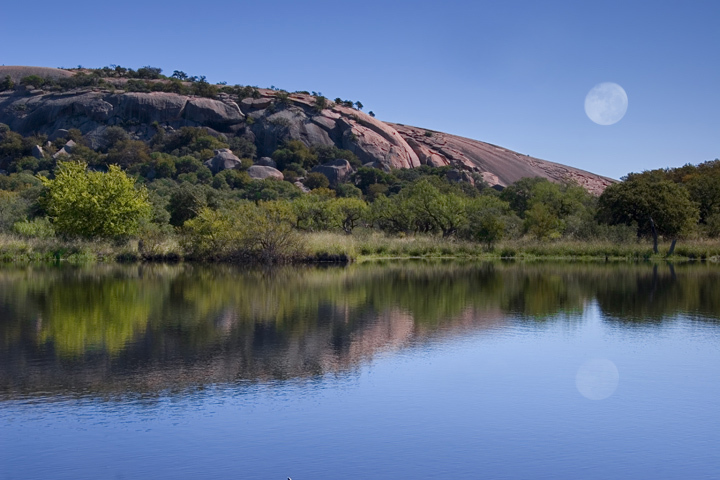 We really do enjoy it, and it's quite pretty.